It seems that it is becoming a tradition for the UCU Student Brotherhood to celebrate Christmas in eastern Ukraine. 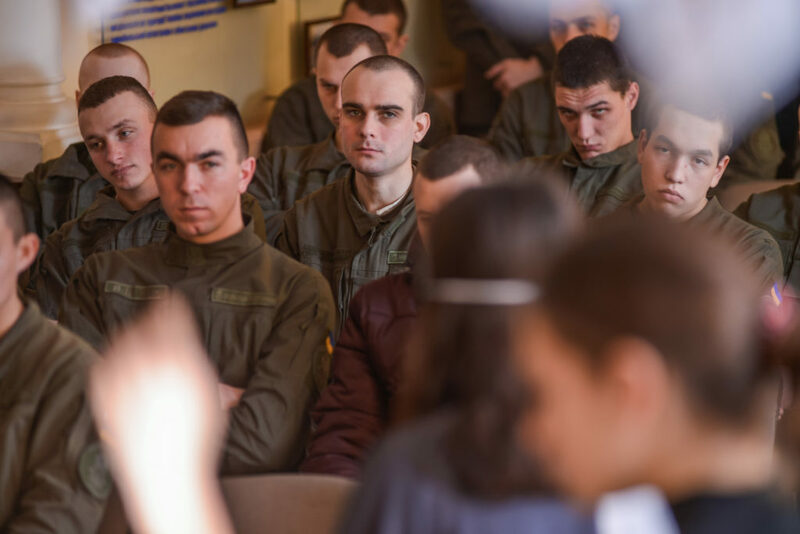 Last year the students visited Melitopol, and this year Sumy, together with students from Mechnykov National University in Odesa and the National University of Ostroh Academy. Christmas plays on the town square, carols in various places, and also Christmas Eve dinner together were possible thanks to active youth who know how to unite not in words alone. This is the second time the UCU Student Brotherhood has conducted Christmas Together. The first time was last year in Melitopol. 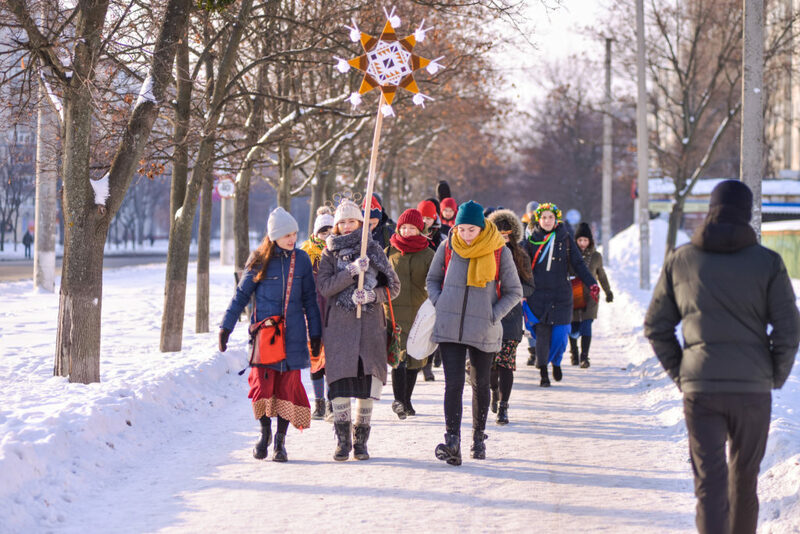 Halyna Didula, president of the UCU Student Government, explained that Sumy impressed them with the number of its active youth, and so they decided to conduct Christmas Together there. 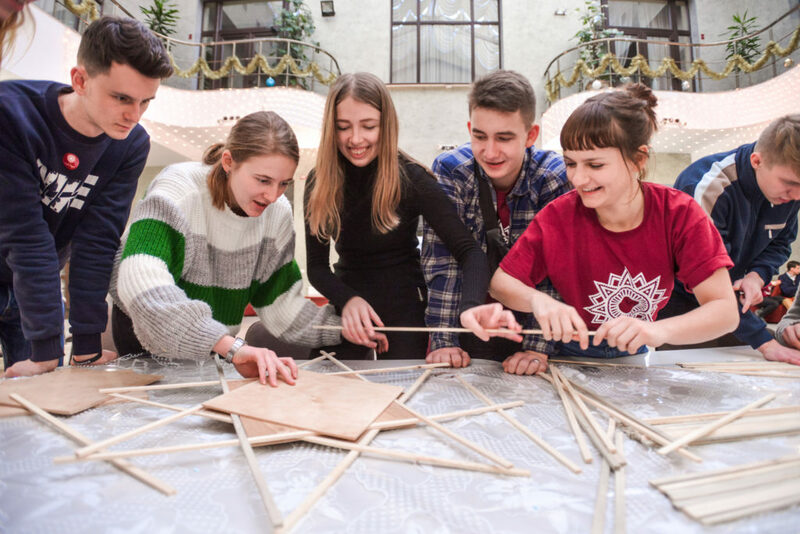 “We visited Sumy for the All-Ukraine Forum of Student Government and saw that the city had very many active youth, who invited us to visit again. So we then decided to celebrate Christmas Together with them. We caroled on the streets, in cafes, orphanages and hospitals – and they were very glad to see us everywhere,” explained Halyna Didula. Inna Martyn is a third-year philology student at UCU. This is her second year with the UCU Student Brotherhood. She says that Christmas Together revealed a new dimension of the holiday to her. “I particularly remember caroling at a small orphanage. This is the first time I was in an institution like that, and it moved me very much. We didn’t simply carol and teach the children how to read verses. We stayed to interact with them. We saw that they sincerely enjoyed every minute that we spent together,” Inna Martyn emphasized. 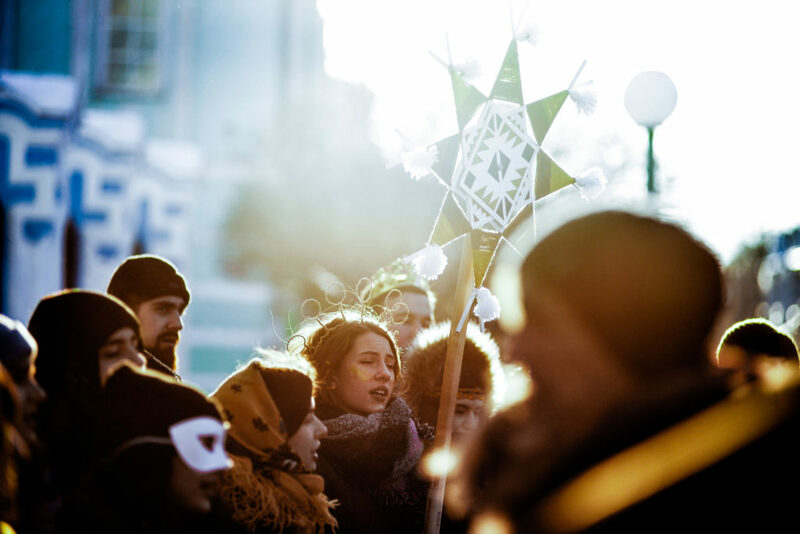 Nastya Khaiba, a first-year sociology student at UCU, recounted how, during Christmas with adults, she had an opportunity to recall her childhood. 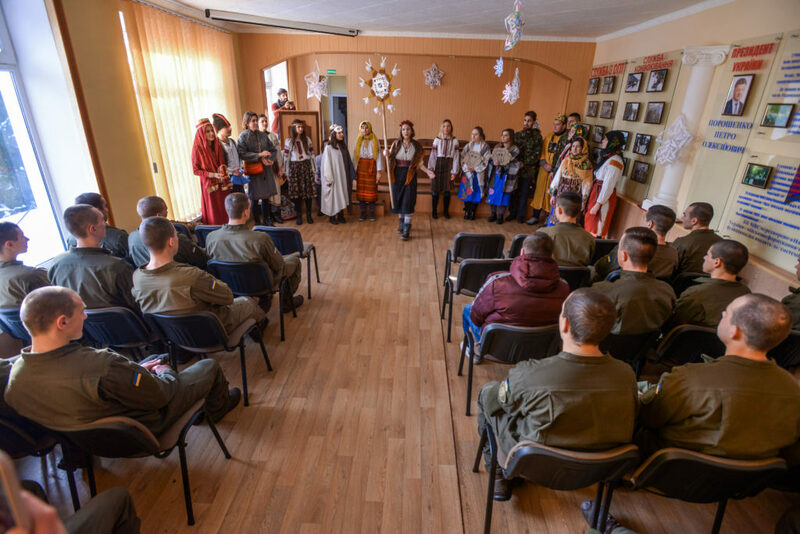 “I am from Lutsk and have been to the Sloboda area before – I attended festivals of Christmas plays in Kharkiv, and my friends and I put on Christmas plays in Poltava. 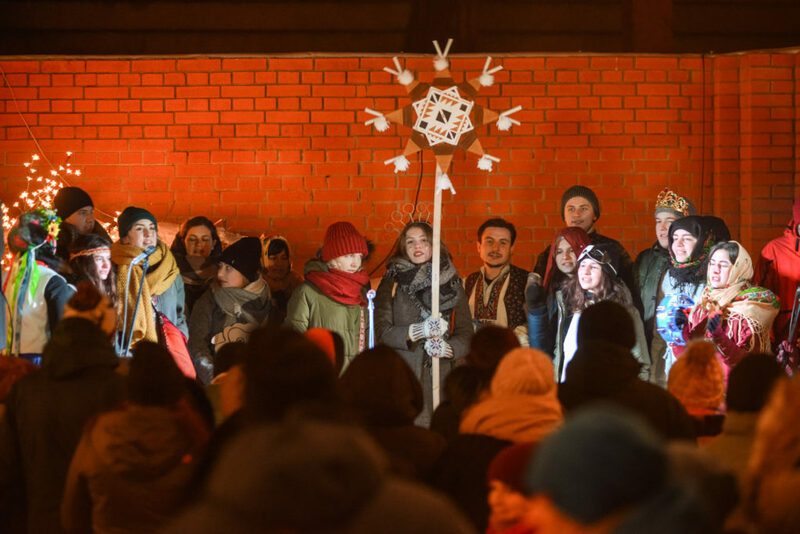 Nevertheless, many in Sumy were seeing a Christmas play for the first time. They were happy to greet us simply on the streets. I was a volunteer and was responsible for conducting master-classes. We organized ‘dance breaks’ with folk dances which both adults and children can learn. We also taught them to make Christmas stars and horses from string. Though for most of the children it was the first time we spent together, nevertheless, they and their parents very quickly joined in,” explained Nastya. 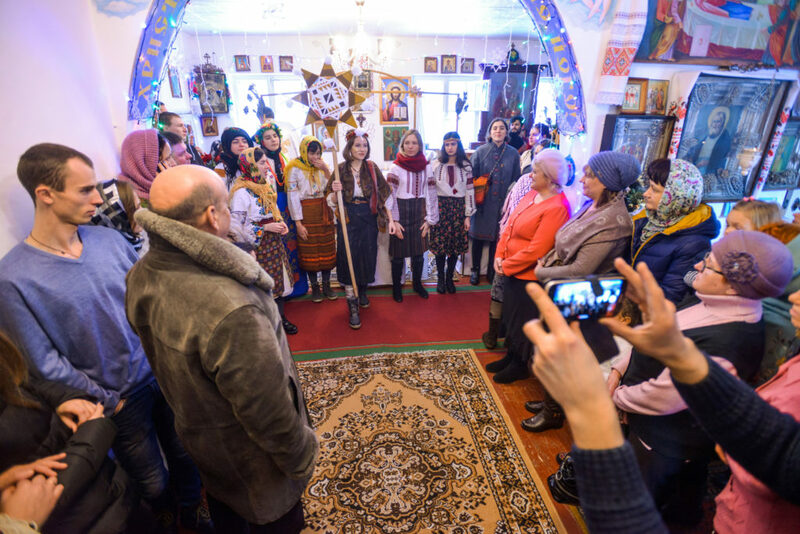 Yulia Pylypenko, coordinator of Christmas Together from the Sumy Student Brotherhood, said that Sumy combines residents and traditions from all corners of Ukraine. 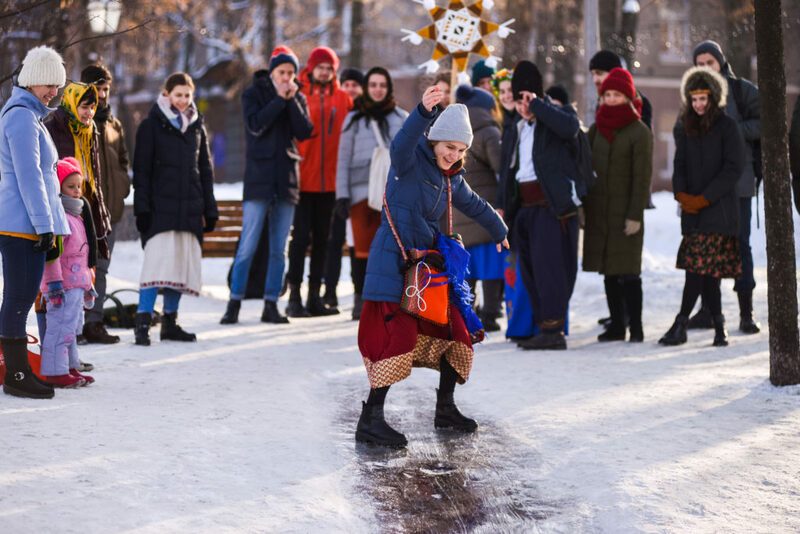 In her words, the student event brought the attention of the people of Sumy to traditions and explained to them how important it is to revive traditions. “This event gave an impetus in Sumy to remember traditions and started a celebration of Christmas, inasmuch as, earlier, this was generally a family holiday without any notable attributes. 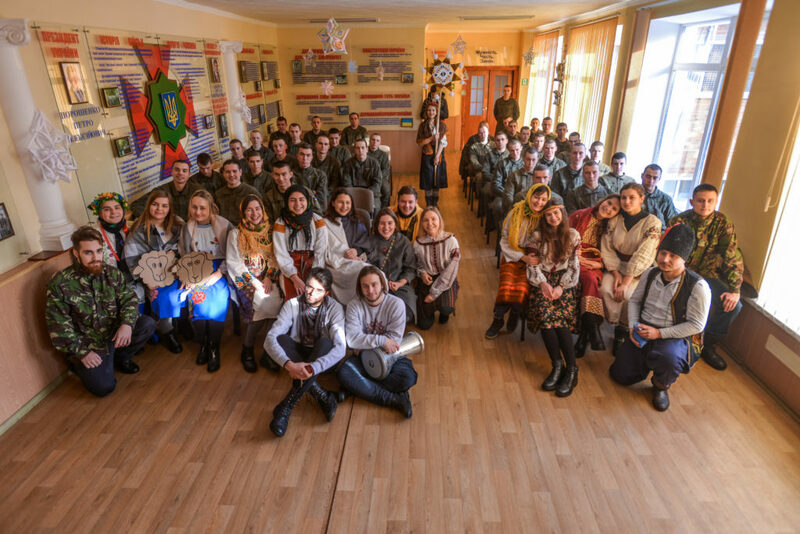 The students not only brought the holiday to us but, in their group, united residents and traditions of all corners of Ukraine,” recounted Yulia Pylypenko. 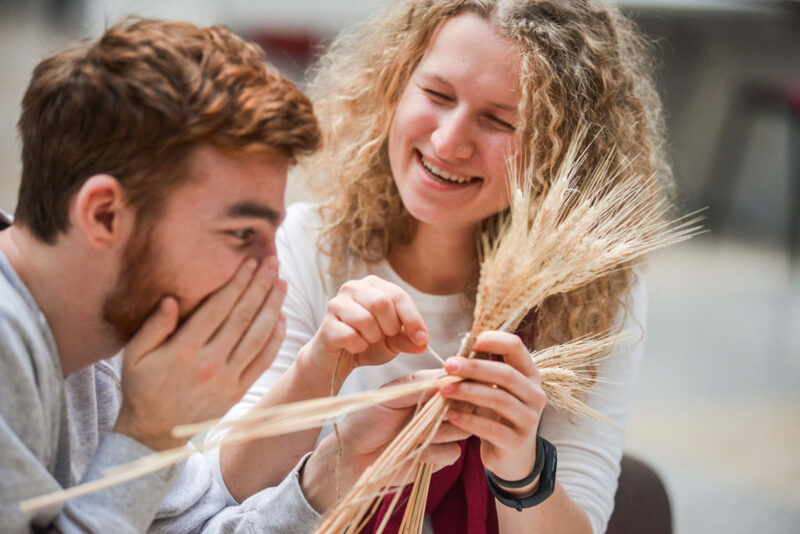 The Student Brotherhood also plans to celebrate Easter in eastern Ukraine, so it is looking for an active community there with whom they can celebrate the holiday and foster traditions.